The task doing Christian ministry has never been as exciting and challenging as it is today. In fact, there is now a consensus among sociologists and demographers that the old notion that the world would be secularized by the dawn of the 21st century has just recently been falsified by the sudden rise of interest in religion and spirituality almost everywhere around the world. This is most particularly true in the Global South, where the Philippines sits strategically and is said to be playing a special role, particularly as it registered an unprecedented growth among evangelicals in the last three decades or so. For ELI Asia, this translates to more opportunities and challenges for Christian ministry, particularly the need to raise up and train as many workers as possible in the harvest field. True, many have already been deployed there for years, in their respective local churches and their vicinities and beyond. 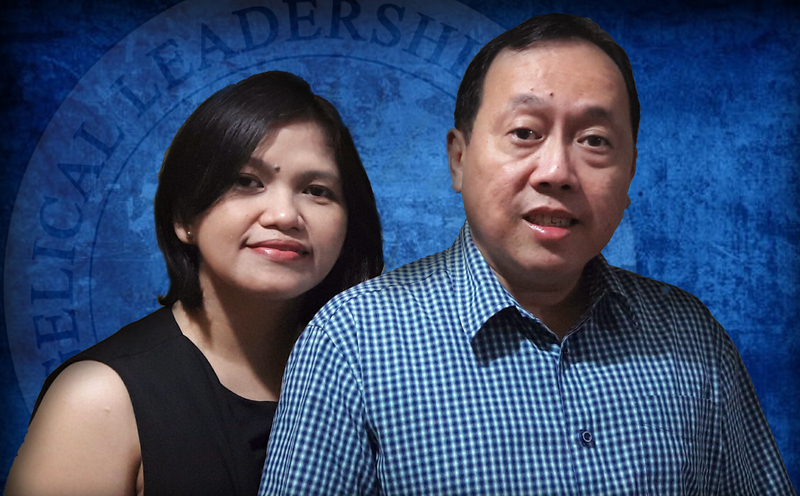 But as the frontliners of ELI Asia have found out through the years of providing biblical, theological and ministerial education to various places in the country, majority of these Christian leaders and workers are ill-equipped to address head-on the various challenges that constantly confront them in the field. These challenges include that of properly handling the administrative affairs of their local churches, putting up effective evangelistic and subsequent discipleship programs for new believers in Christ, answering questions posed by the rise of various cult groups and anti-theistic movements, dealing squarely with the innovations of liberalism/progressivism even among evangelicals, providing pastoral cares to members in need, among others. It is for this reason that ELI Asia was born in 2012, first in the heart of its founding director, Dr. Nicky Joya, then at its very first campus in Siniloan, Laguna, south of Manila, the country’s capital, which in turn gave birth to other campuses in Pampanga, Bulacan and Cavite. We are a small band of biblical, theological and ministerial educators whose mission is to provide quality teaching materials and practical training for pastors, elders and other church leaders right where they are so they don’t have to leave their respective places of ministry. Such an arrangement is intentionally designed to make them fulfill their practical requirements for theological training, each with his or her own unique ministry context in view. It also relieves them of additional expenses like transportation, food and lodging, considerations students should face had they been enrolled in a seminary campus miles away from their places of origin. By the grace of God, we have so far reached more than 250 students, representing around 40 churches, sitting under our lectureship, enjoying our fellowship with one another at our respective campuses, many of them in remote areas of the country, and still counting. Excitements among faculty members and students have always been the feature of every teaching and training session, especially during the question and answer portion. Apparently, the cost of operating ELI Asia’s specialized ministries, which other than teaching also include personalized student mentoring and faculty development programs, has also been equally challenging. Our educational materials, though definitely on a par with what reputable resident Bible colleges and seminaries could offer, are priced at as low as Php 500 per module (in some places), which collected altogether would not be enough to cover our operating expenses. Yet inspired by the testimonies of many of our students as to how ELI Asia has contributed a great deal to the way they have become much more effective and competent in the field of Christian ministry than they used to be, and by the resulting growth of their church outreach programs, we press on toward the goal of reaching out to more fellow ministers and would-be ministers in the harvest field. Through the course ELI Asia’s five years of existence, not a few Christian leaders in the country have expressed their desires for us to open more campuses for them. However, what often hinders us from accommodating such a call to attend to such a need at an opportune moment is our lack of financial resources. Would you therefore please prayerfully consider partnering with us by helping us carry this burden with your financial support? Should you find us worthy of this, after having sought the will of God in this regard, you can rest assured that by His grace we shall be good and faithful stewards and dispensers of your gifts to our fellow servants of our Lord and Savior Jesus Christ in the field for the further advancement of His Kingdom on earth and for His glory alone. We, at ELI Asia, look back at the year about to close and praise the Lord for what He has done through our ministry. To date, we have established the following campuses. These local churches have open their doors to us and other churches in their vicinity, and are hosting our classes. In the loop are two more campuses that will be in operation next year— New Testament Baptist Church in Paete, Laguna and two local churches of the Foursquare Pentecostal denomination (to be identified later) in San Narciso and Iba, Zambales. Moreover, it has been a joy to witness our church planting ministry expand. ELI Asia, through the leadership of Rev. Virgilio Bongao, our Church Planting Coach, is helping support and supervise ten projects which has resulted in churches being established in Laguna and Bulacan. We will be adding more projects in 2018. We give glory to the Lord for these accomplishments, and look forward to what He will do in the near future. Pastor Christian Paolo Yumang already holds an A.B. in Theology from FEBIAS College of the Bible, arguably the leading Bible college in the country. Yet it seems like he doesn’t see himself to have already been equipped enough to pastor a local church, albeit in a mere associate capacity. Hence he did not think twice to enroll himself in ELI Asia’s Master of Arts in Christian Ministry program in 2014 when the leadership of the school launched its campus in Masantol, Pampanga, where he currently lives and ministers. Not that FEBIAS has failed. And more particularly, not that ELI Asia has all that it takes to make this very promising young pastor and church planter supply what was lacking in his first theological training at FEBIAS. No, far from it. Not even the apostles had a claim to such a lofty expectation. Suffice it to say that Pastor Paolo, though still in his early 20s, loves the church and is driven by a vision to pursue his role as a pastor, especially that he is currently pioneering a church in a remote area not far away from his home church, the Lighthouse of Faith Christian Fellowship in downtown Masantol. He knows he simply cannot do it alone. And not without further training in Christian ministry that would cater to his specific needs and longings as an outreach pastor-church planter. That was exactly how he felt when he once dreamed of seeing the rise of a theological and ministerial school nearby, where he and his fellow pastors and other church workers can pursue formal training in theology and Christian ministry right in their own respective contexts of ministry. It is right there and then, Pastor Paolo surmised, where the faith of every Christian leader is meant to be tested and honed. He therefore considered it a blessing when in so short a time his dream finally came true when ELI Asia started its programs at his hometown. It is his prayer to successfully fulfill the requirements of the program he is currently enrolled in so he can immediately apply everything that he could learn from it to his home church and the surrounding community. “It’s not easy to study in a place far, far away from home,” Pastor Paolo said, reminiscing his five-year term at FEBIAS in Valenzuela City, Metro Manila as a Bible college student. Our ministry of providing affordable theological and ministerial training to pastors and lay leaders are made possible by the financial support of individuals and churches. Every seed that is sown is used to fulfill our mission of equipping leaders for effective church ministry. Donors in the Philippines may deposit their financial gifts to the following bank account: Triune Biblical Asia, BPI Family Savings Bank, Better Living Branch, SA 006253-1824-05. Donors in the US may send their checks to World Ministries P.O. Box 491656 Leesburg, Florida 34749-1656. Please write the designation for your gift in the memo of your check (i.e., ELI Asia). Or donors may want to send their support electronically by going to the WM website (worldmin.org) or specifically, https://www.egsnetwork.com/gift2/?giftid=E047DE00D3F04D8#. WM would then issue a tax deductible receipt. 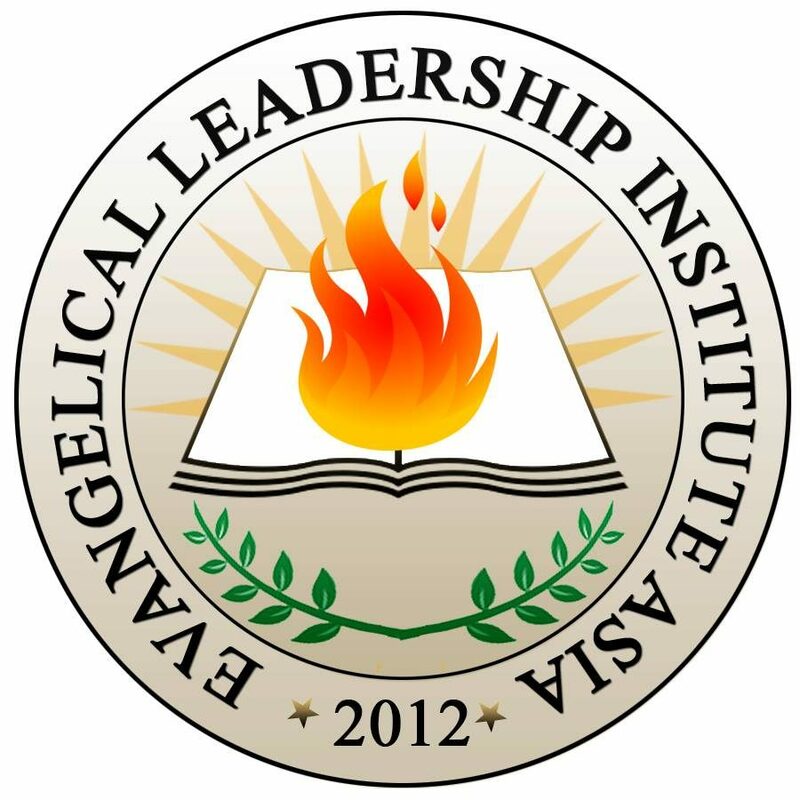 Evangelical Leadership Institute Asia seeks to enable Christian leaders to acquire theological and ministerial education equivalent to those offered in Bible colleges, without leaving their churches for a long time. The goal of the program is to train Christian leaders and workers for ministry, while in ministry without having to leave their secular or full-time Christian vocations. The ELIAsia Leadership Programs are designed in such a way that face-to-face lectures and classroom discussions, and independent readings and research are integrated. ELIAsia exists to serve and function as the theological education and training arm of the local church, and aims to train present and potential church leaders and pastors by providing theological and ministerial education and training. We come alongside churches to develop pastors and Christian leaders so that they can more effectively shepherd their congregations, and equip them to make disciples for Christ. Stimulate growth of believers to Christ-likeness through studies that integrate theology, life and ministry by providing practical service opportunities with accountability. Encourage church leaders to continue to know God’s Word and grow spiritually, and be effective in ministry. Provide accountability necessary to maintain quality and encourage maximum growth and development. Provide flexible training options for the development of pastors, leaders and members. 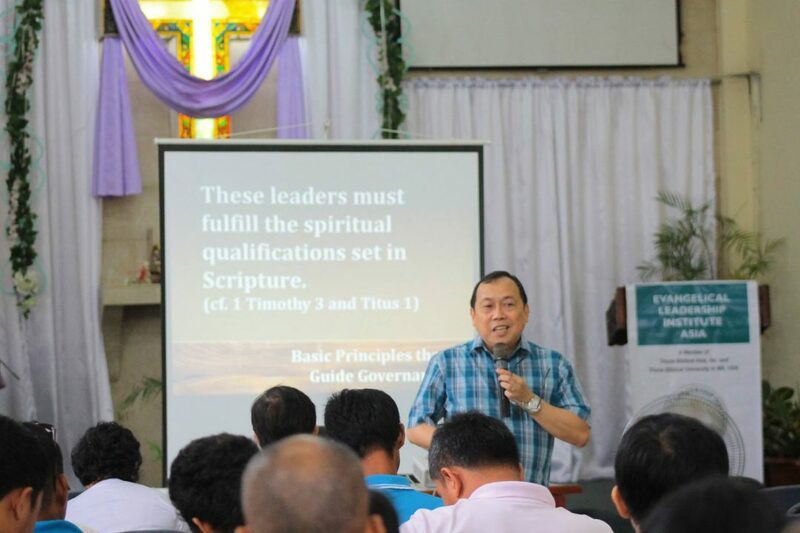 To meet the leadership training needs of Evangelical churches nationwide, ELIAsia has made its training programs accessible to church leaders wherever they are located. A host church located in a major city, accessible to many in a particular area, is designated as a training center and as such will be the site of the program offering. Courses will be offered at the facilities of the host church. The various programs are composed of theological and ministry education courses. For flexibility on the part of the teachers and the students alike, only one or two courses will be offered per quarter based on the schedule approved by the host church. Each course (unless otherwise indicated) has a total of 20 hours distributed into 10 two-hour sessions. A certificate or diploma will be awarded upon completion of each training program. As a way of allowing flexibility, written assignments and required reading will be given ahead of the discussion. Students are expected to have made full preparations before the actual classroom discussion. This way, topics that are usually included in a regular baccalaureate course will be discussed in a shorter period. The discussion of each course will be complemented by a mentoring component, where students are encouraged to integrate the academic instruction into ministry application. Each student will be assigned to a mentoring relationship with pastors or fellow church leaders (peer mentoring) during their participation in the program. The ELIAsia training centers are located inside host churches that have the capacity, resources and facilities for operating an extensive training program, and that have been officially recognized and identified by the Institute. As local church-based, the program occurs in an in-ministry context with the participation of the local church. ELIAsia will ascertain that the academic standard it has set will be followed by the training centers and will help field qualified instructors to teach various courses. Academically qualified and credentialed professors will teach the courses included in the programs. These teachers are also church practitioners actively ministering in local churches. 178,000 people come to Jesus Christ everyday around the world. 7,000 new church leaders are needed daily to care for the growing church. 2 million pastors worldwide are untrained or undertrained. 85% of the world’s churches are led by people who have no formal training in theology or ministry. Through the DAWN 2000 movement, the Philippines has an estimated number of 60,000+ churches. Between 35,000-40,000 pastors are without any formal training. These pastors are high in commitment, but low in competence; strong in worship, but weak in character. I had the privilege of leading a training institution for our denomination from 2004 to 2011— Conservative Baptist Seminary-Asia (CBS-Asia). During my leadership at CBS-Asia, I have sensed a great need and cry for training among local churches. Pastors and lay leaders, mostly from the provinces, do not have the benefit of having formal theological training. Not only is seminary training extremely expensive for these people, but it would necessitate resigning from their secular jobs and/or ministries to be trained for at least three years. Aware of these realities, I changed approach in order to make theological and ministerial education affordable and accessible. I brought the seminary to the local churches. In my leadership, twenty training centers were established in various parts of the country where pastors and lay leaders are being equipped for the ministry of shepherding local churches. In spite of our aggressive efforts however, there was (and is) still a great need to set up more centers. Further, the appeal for training did not only come from my denomination but also from other religious groups as well. In light of this, I stepped down from my leadership role with the seminary in January 2012 to focus more of my energies on teaching pastors and leaders, not only of churches in my denomination, but of other religious groups as well. I partnered with Dr. Douglas Jue, a Christian leader with a similar burden and a board member of Triune Biblical University in the USA, to form a consortium of various ministries—theological training, church planting and church development. Thus, we formed Triune Biblical Asia. My initial thrust was in the provinces of Laguna and Bulacan where my influence is greater, then moving to other places in the Philippines. When we started in 2012, we formed three training schools where pastors and lay leaders are receiving comprehensive training in Bible and ministry. Pastor Virgilio Bongao, church planter and pastor of Christ-Centered Baptist Fellowship invited me to use his church building as the venue for training of his church leaders, and pastors and lay leaders of local churches within the area. Pastor Bongao is one of the leaders of the ministerial fellowship in SJDM and mentors other church planters in the area. In January 30, 2012 I started teaching an initial batch of 30 students. To date, I teach courses there every Monday, while other professors teach on other days. In February of 2012, Pastor Joel Calzar of Siniloan Baptist Church (SBC) invited me to initiate a training ministry catering to the pastors and lay leaders of the local churches in this agricultural area of Laguna. Siniloan is the central town of the 4th District of the province. I travel to Siniloan every Friday to teach two courses—one in the afternoon, and another in the evening. More than thirty students are enrolled in the program. They come from different denominations and towns in District 4—Siniloan, Sta. Maria, Mabitac, Pangil, Famy, and San Antonio. The mayor of Siniloan, Hon. Eduardo Tibay, who is also an elder of SBC and a former student of mine, attends the classes whenever he is available. His wife, Naneth is enrolled in the program. From District 4, we went to District 1. Calamba City is the heart of this district. Pastor Oscar Bantatua of Community Baptist Church of Calamba (CBCC) has invited me to train his pastors and lay leaders, and those of other churches as well. About 25 leaders attend the courses taught there every Thursday night. These church leaders come from Calamba, Cabuyao, Los Baños, Sta. Rosa, Biñan, and San Pedro. To date, we have added three more campuses to that initial number—these are in Dasmariñas in Cavite and Masantol in Pampanga. In addition, other places are in the waiting list. Your partnership with me is helping make all these possible. Thank you for investing in raising up laborers for Christ.